It’s almost time to break out the short-sleeved shirts! My casual wardrobe these days consists of two things. Monday through Friday I wear a workout shirt and leggings. On Saturday I wear either a show choir mom shirt or a speech team mom shirt and jeans. On Sunday I wear whatever is clean and on the top of the pile. 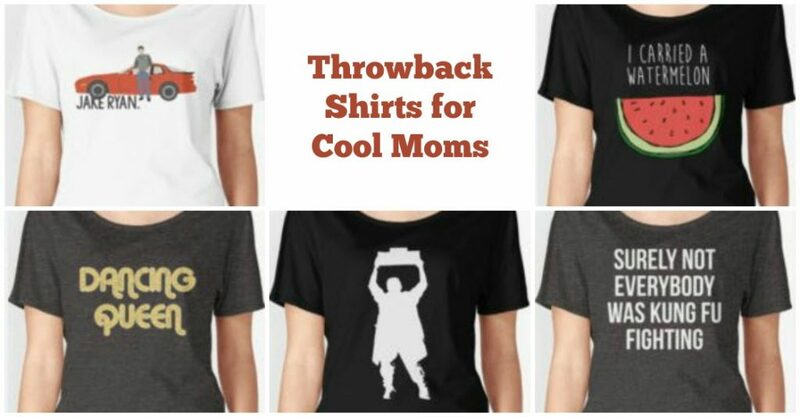 My teens love the trendy shirts on Redbubble, I so I figured I would look to see if there were any fun shirts for moms that aren’t “mom” like but are age appropriate and still cute. I found quite a few in many different themes! If you don’t like the ones that I picked below, don’t worry! There are literally HUNDREDS OF THOUSANDS of different designs. You read that right. There are 255,000 music designs alone. 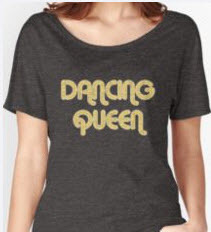 And the images below are all featuring the Women’s Relaxed Fit T-shirts, but you can also choose from fitted, v-neck, scoop neck, tank tops and others. Plus pick your colors! Do I have your attention yet? Here are some movie shirts people “our age” will get (and maybe some of the kids as well….but I don’t care so much about that!). I’m sure you get the direction I am going. 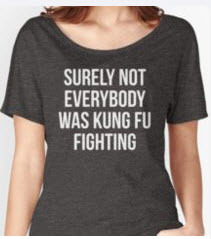 Lots of fun shirts that people either “get” or they don’t and you shouldn’t have to explain them. The music category is very similar. 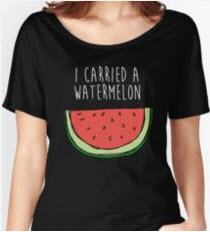 Some of the shirts have images while others are plain text. Here are a couple of my favorites. 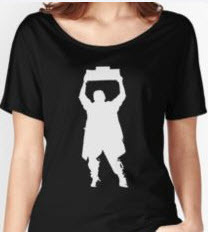 Jillian (my 18-year-old) and I are going to the NKOTB concert in May, so I am considering getting one of the New Kids shirts. But I also want to order a couple of Harry Potter ones for our upcoming trip to Universal. Choosing is hard! 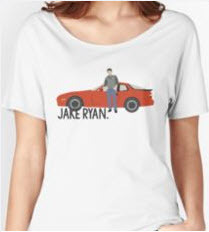 Head over to Redbubble and also be sure to sign up for their mailing list because they do send out coupon codes fairly regularly for as much as 20% off. The prices of the shirts depend on the design and which type of shirts you choose, but right now they start at $16.